CARDIFF, Wales (AP) — Cardiff manager Neil Warnock has been charged by the English Football Association for his tirade against Premier League referees. Match officials failed to spot a glaring offside when Cardiff conceded a late equalizer against Chelsea in a game the relegation-threatened Welsh team went on to lose 2-1 on March 31. 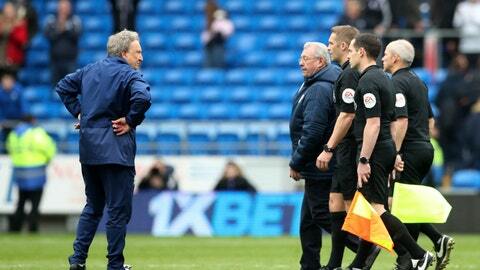 The FA says Warnock’s comments questioned the integrity of officials and brought the game into disrepute.